At La Grande Family Dental, we believe in treating patients the way we would like to be treated. We strive to create a friendly environment, so you can feel relaxed and comfortable when you enter our office. We respect your schedule, and we pride ourselves in delivering quality dentistry in an atmosphere of compassion, professionalism, and respect. Dr. McMahan retired on Friday, March 23, 2018. Dr. Brad Hagedorn assumed the practice on March 23, 2018. All of our staff will be staying with the practice. 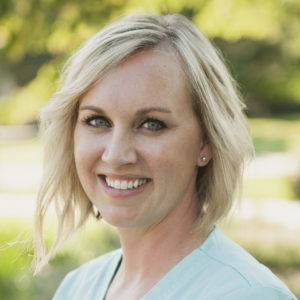 Dr. Hagedorn’s passion is delivering exceptional dentistry while making connections and friendships with patients. He is known for his gentle touch and exceptional clinical skills as a dentist. 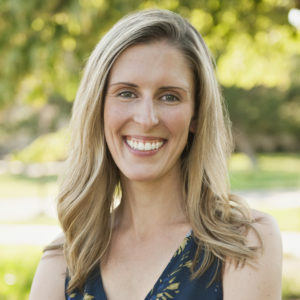 Dr. Hagedorn has a special interest in preventative care and the connection between dental health and overall wellness. He graduated from OHSU School of Dentistry in 2011 and has spent the last 6 years serving patients in his own private practice in Beaverton, Oregon.He and his wife Jessica were both born and raised here in La Grande and look forward to moving their family back home. Dr. Hagedorn and Jessica have three young boys ages 6, 4, and 1. In his free time, he enjoys sharing the outdoors with his family and sports of pretty much any kind. 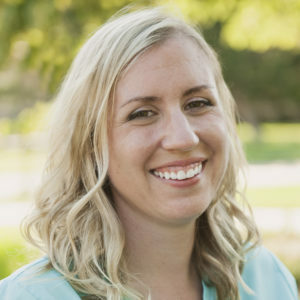 Jessica is an elementary school teacher at heart, but has also taken on various administrative roles in Dr. Hagedorn’s practice since he first opened. When she isn’t busy chasing around one of their three sons, you will find her working behind the scenes at the office for the business, design/marketing, and human resources tasks. Shanda graduated from OIT/ODS College of Dental Sciences in 2008. She also worked as an instructor there for 7 years. She has been a hygienist here for over a year. She and her husband have 2 little girls and a baby boy. She enjoys spending time with her family, being outdoors, camping, and sports. 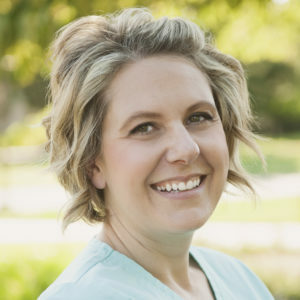 Heather has been a dental assistant for the practice for over a year, but she has worked as an assistant for 19 years in Oregon and Washington. Heather is married with two children. She loves anything crafty and finds herself always busy with a project. She loves that Dr. McMahan and his staff care for their patients like they are family, and she is proud that she gets to be one of them. 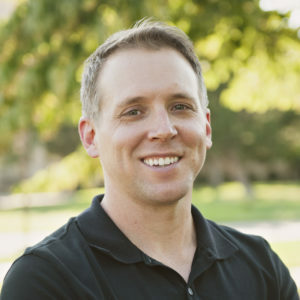 Dr. Brad has had extensive experience and specialized training in performing cosmetic procedures such as bonding with porcelain veneers, space closure, teeth whitening, and improved esthetics in crowns or bridges using the latest materials and techniques. He has successfully treated thousands of patients who desired to improve their smiles and self-esteem. Ask about any options you might have for enhancing your smile. The choice will always be yours, and your options will be fully explained. Dental implants are possibly the most exciting breakthrough in dentistry in the last 100 years! A dental implant is a titanium cylinder placed in the space once occupied by a missing tooth. The bone loves titanium, and it grows abound the implant in a matter of months to allow the implant to become a stable platform to support an abutment and a crown to replace the missing tooth. An implant can also be used to support a troublesome denture, provide attachments for removable partial dentures, or even replace the entire dental arch with multiple implants and teeth attached. They are truly a remarkable option that can eliminate the need for bridges attached to the remaining teeth that require cutting on those neighboring teeth. Dr. Hagedorn has been restoring implants for 6 years. He will also be receiving training at WhiteCap Institute under the direction of Dr. P. K. Clark in the placement of implants as well. Most cases will be able to be performed entirely at our clinic, without referring the patient to a specialist out of town. Dental implants generally will last longer and will be more comfortable and trouble-free than conventional bridges. Our goal is for patients to never need an implant by keeping all of their natural teeth. However, tragic accidents can happen, and a missing tooth can now be effectively restored by placing dental implants without damaging neighboring teeth. We will always discuss this and any other options for replacing missing teeth or for securing a troublesome denture. Periodontal health refers to the health and condition of the teeth and their support system of soft tissue and bone. When poor hygiene and home care exist, tissues become diseased and inflamed, resulting in red, puffy gums that bleed excessively. Pockets develop under the tissues that accumulate even more bacteria, soft tissue attachment is lost, and bone support eventually recedes, leaving less bone around the roots of the teeth. Ultimately, teeth will be lost if no effective intervention occurs. The best treatment for this condition is prevention! Our expert hygiene team will assist you in preventing this condition in the first place with great teaching and instruction as well as comfortable, efficient cleaning of the deposits on your teeth that can lead to periodontal disease. Regular recall visits every six months is the standard of care. Aside from the obvious threat of tooth loss that periodontal disease can cause, more recent research shows that patients with active bleeding and inflammation in their mouth from any source results in a higher incidence of coronary artery disease, diabetes, kidney disease, and other systemic effects. By simply leaving diseased bleeding tissues untreated, means you could be more at risk for a heart attack! We take this threat seriously, and we are actively involved in the American Academy of Oral Systemic Health (www.aaosh.org) in an effort to stay on top of research in this area and effective therapies and testing for risk. We employ the latest therapies, including laser-assisted periodontal care, ultrasonic instrumentation, and appropriate antibiotics upon testing, using genetic assays. Dr. Brad and his staff stay up to date on current therapy, and they will consider your overall physical health, of which your teeth are an integral part. Our office is proud to offer residents in Eastern Oregon Invisalign treatment. Invisalign is a fantastic system that straightens your teeth without the use of traditional, metal braces. Instead, Invisalign uses a series of plastic trays, called aligners, to move your teeth into place. Is this incredible treatment for everyone? No, but you can find out risk-free if it is right for you. Simply schedule your complimentary consultation with Dr. Hagedorn to find out if you are a candidate for Invisalign treatment. Read below to learn more about Invisalign. When you consider all of the advantages, why wouldn’t you become one of our La Grande area Invisalign patients? Call us today to schedule your free consultation. Endodontics refers to the treatment of teeth with a diseased pulp, more commonly known as root canal treatment (RCT). Dr. Hagedorn performs almost all needed endodontic care in his office without the need for referral to a specialist in most cases. We realize that nobody wants a RCT, and our goal is to prevent the need. However, deep decay, trauma, or cracks in teeth can lead to pretty severe pain that can only be relieved by removing the angry pulp. The negative reputation that RCT has is actually related to the pain that sometimes precedes the treatment. RCT can be a life saver, and the relief or prevention of subsequent pain is a wonderful option to keep a tooth that might otherwise have to be extracted. Treatment is usually needed to prevent pain from developing, but there are occasions where the treatment relieves pain in marvelous ways. Dr. Hagedorn has taken extensive training in the latest techniques and systems for performing RCT. The goal of completely removing the pulp in the canal system, disinfecting the space, and sealing the space from future bacterial infiltration can be accomplished painlessly and successfully in the majority of cases. Our goal is that you will never need a RCT, but in the event that it becomes necessary, we will take great care of you! Dentistry has certainly changed during the span of Dr. Hagedorn’s career. Dr. Hagedorn far exceeds the minimal requirement of 40 hours of continuing education every two years. He loves doing dentistry, and he enjoys learning new ways to do it better. Technological improvements are a large part of that. We have always invested in proven technology. We employed digital charting and radiography many years ago. We employ 3-D cone beam radiology, which allows for a three-dimensional view of teeth and bone, which aids in proper placement of implants and root canal therapy where canals can actually be visualized in three dimensions in a tooth. Dr. Hagedorn has a CO2 Deka laser to aid in soft tissue manipulation and stimulation in many applications, resulting in far less recovery discomfort and quicker healing for the patient. We are always looking for ways to accomplish treatment more effectively and comfortably for the patient through technology. La Grande Family Dental is now offering CEREC restorations in the office. With CEREC, teeth can be restored in a single setting for the patient, rather than multiple appointments required with earlier technology. With advanced CAD/CAM technology, Dr. Hagedorn can design and place ceramic crowns, veneers, inlays, and onlays all in one single visit. No additional appointments or temporary restorations required! Dr. Hagedorn is the ultimate professional. He is extremely knowledgeable and proficient in his delivery of care. His technique is gentle yet purposeful, his explanations are easily understood and his timeframes for treatment are accurate. I have recommended and will continue to recommend him and his staff to anyone. My appointment went very smoothly. I especially appreciated watching Dr. Hagedorn use the CAD system to design my crown. This was most informative and interesting. I have worked in the dental field all my life and Dr. Hagedorn is the best ever. I would not change a thing about his professionalism, enthusiasm and investment in sterling patient care. Dr. Hagedorn makes everyone feel at ease and creates a great environment for his patients! Outstanding and efficient. Enough said. Go here! Everyone is so friendly and Dr Brad Rocks! Friendly, gentle, and efficient – as always! Dr. Hagedorn is a very bright, highly personable, very likable guy. I highly recommend him! Dr Hagedorn is a fantastic dentist, knowledgeable, kind and caring, and very gentle. I have always had excellent experiences when visiting his office. A very personable and professional dentist and staff. I never have to wait, which has been nice. Appreciate that only what truly needs to be done is recommended and is honest about the options. Also, Dr Hagedorn gave a superb referral to an oral surgeon when that was needed. Highly recommend this office! Dr. Hagedorn is without doubt the best dentist my family and I have ever had. His professionalism, combined with his genuine concern for his patients is very apparent. And every member of his staff mirror these same qualities. My partner and I have been seeing Dr. Hagedorn for 3 years now and he and his staff are absolutely top notch. My grandfather was a dentist, so my standards are quite high. Dr. B takes the time to really listen and explain any work he does and he even came in for an emergency tooth removal over a holiday. It is almost fun to come to the dentist. 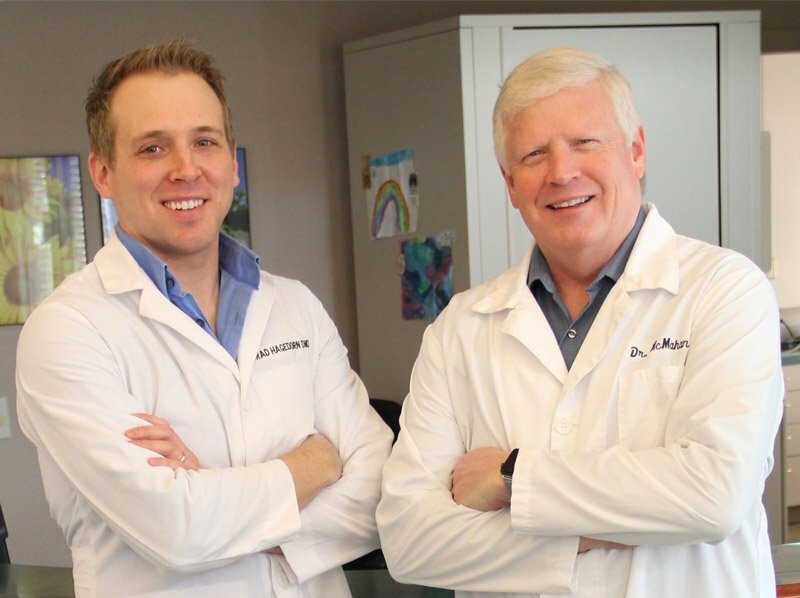 My entire family goes to Dr. Hagedorn and they all agree–best dentist we’ve ever had! Dr. Hagedorn is very conscientious. He makes you feel very comfortable and explains things well. Dr. Hagedorn is fantastic! He works so well with my anxiety about dental care and makes sure that I am as relaxed and comfortable as possible. Dr Hagedorn is the best dentist in town. Caring and attentive. Painless too. I am from Kansas City and was in Portland last week visiting family for Thanksgiving. The holiday left me with a popped off crown, and not a lot of options. Friday morning my aunt drove me to the nearest dentist’s office, which just happened to be La Grande Family Dental. The office was closed, but I called and left a message for the dental emergency. Dr. Hagedorn returned my call in less that ten minutes, and set an appointment with me for less than an hour later. My tooth was extremely sensitive, and Dr. Hagedorn did everything he could to ease the pain. He was friendly, caring, and quick to answer my questions. He listened to my concerns, and offered sound advice. My dentist in Kansas City always seems to be too busy to care about my concerns, so it was nice to have someone listen, and show genuine care. If I have a procedure done in the future, I just might make an appointment with Dr. Hagedorn for the next time I visit my family! I am truly thankful for his devotion to his practice, great work, and kind personality.